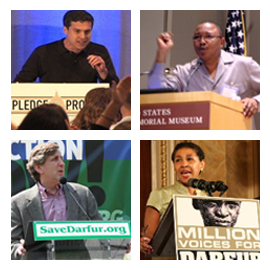 –Excerpted from FIGHTING FOR DARFUR by Rebecca Hamilton. Copyright © 2011 by the author and reprinted by permission of Palgrave Macmillan. 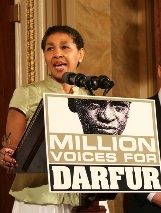 Gloria White-Hammond was an advocate for southern Sudan in the years before the crisis in Darfur hit the mainstream media. Today she is the Executive Director of My Sister’s Keeper, which supports Sudanese women in their efforts to build sustainable peace and restore their communities throughout Sudan, and a board member of the recently merged Save Darfur Coalition and Genocide Intervention Network.